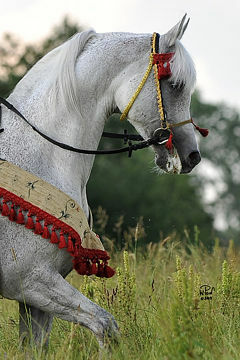 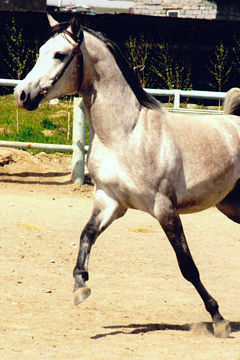 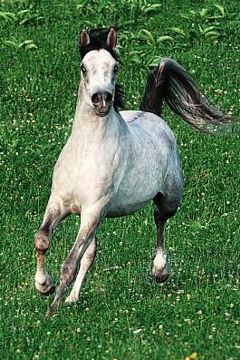 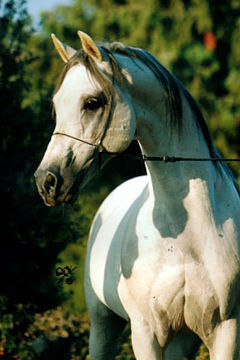 EL WODKINE, Grey stallion, *1995 (Eldorado/Werona). 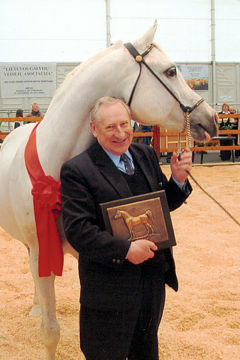 Breeder and owner: Klinte’s Araber – Scherling. 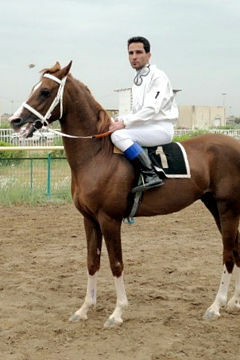 Strain: Kehailan Ajuz (Gazella, ca. 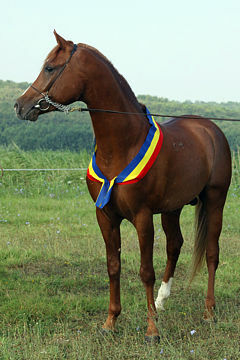 1840). 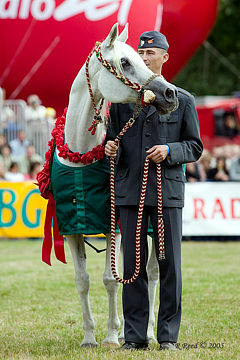 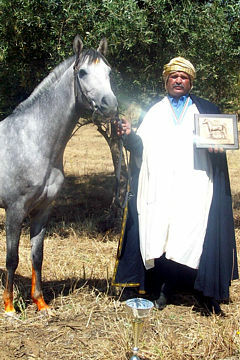 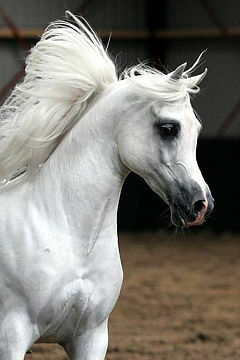 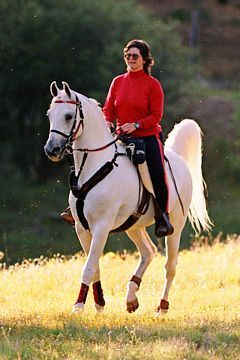 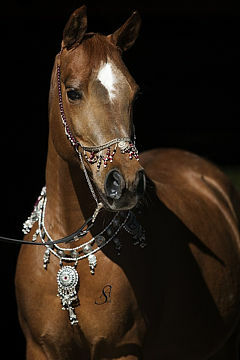 The Swedish Arab Horse Society and ARAB (the Swedish Registry) are pleased to announce their winner of the 2007 WAHO Trophy. 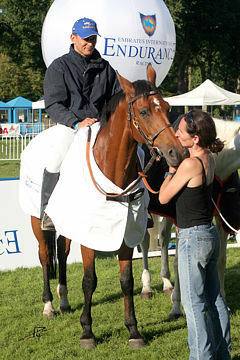 The Trophy was presented during Blommeröd Raceday September 15th. 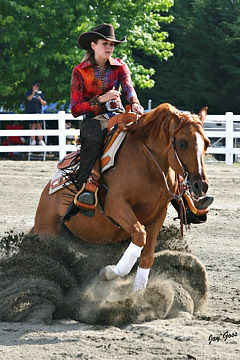 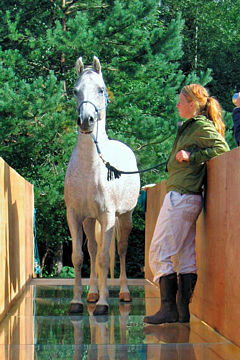 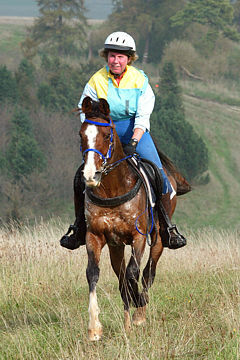 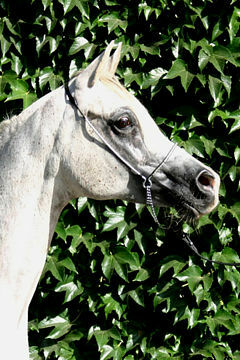 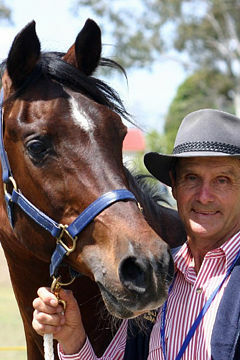 El Wodkine is bred, owned and trained by Klintes Araber, P-O & Anette Scherling in Vetlanda. 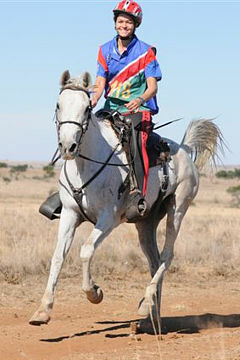 In spite of his years (12 yrs now), he is still racing on the elite level with success. 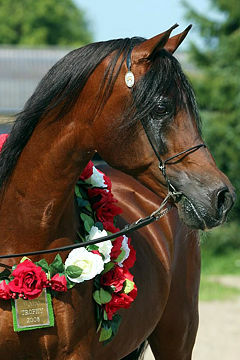 El Wodkine is the greatest racer ever in Swedish Arabian Horse racing-history. 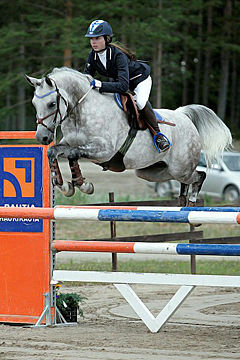 He has made 62 starts with the excellent results of 27 wins, 14 second places and 6 third places, and has earned approximately 100,000 euros in prize-money. 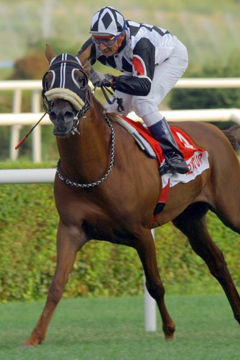 El Wodkine winning one of many races. 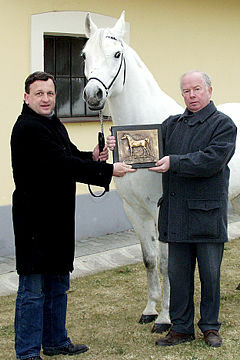 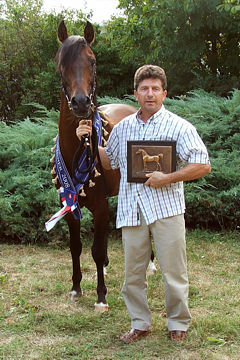 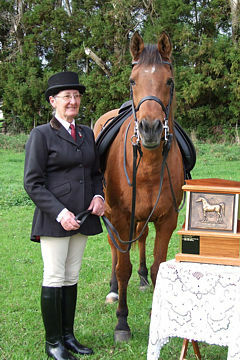 El Wodkine and his owner receiving the WAHO Trophy from Monike Eicker of SAHF. 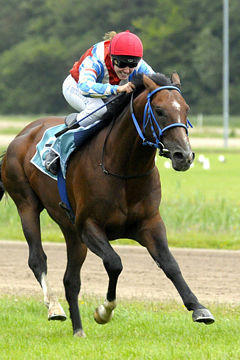 In Scandinavia he has 8 racecourse-records, and has twice been awarde the title of National Racing Champion in Sweden (2000 & 2006) and once in Denmark (2006). 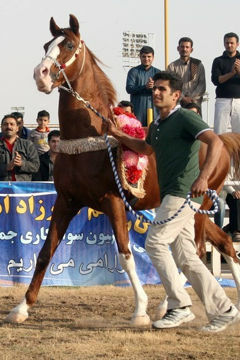 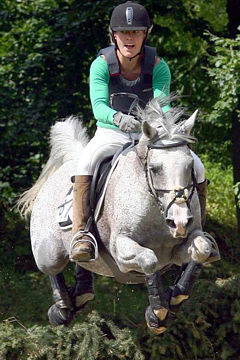 During the years 2003-2004 he also competed in Dubai, in the UAE, where he achieved one victory and 5 places. 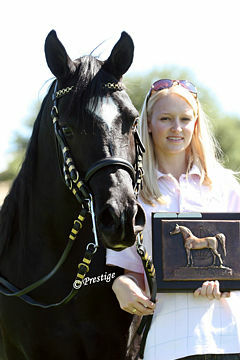 He is a very worthy winner of Sweden’s 2007 WAHO Trophy.